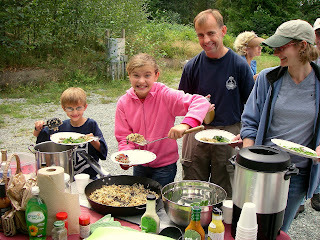 A Feast of Wild Edible Plants! 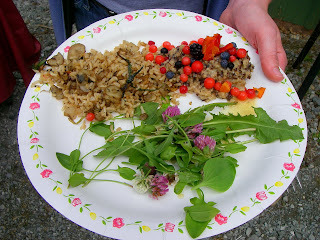 Stir fry from dandelion roots and stinging nettle leaves; a salad made of red clover flowers, dandelion greens, and sheep sorrel; and a dock seed/wild berry oatmeal made with red huckleberries, blue huckleberries, and blackberries - topped off with rose hip honey. Our wild and highly nutritious allies provide sustenance in both our kitchens and in survival situations. There's still a few spaces open in the upcoming Wild Mushroom Identification Class. Learn how to forage for wild edible mushrooms!